Treat your complexion to Caudalie's Beauty Elixir Set; the best-selling elixir with two free gifts - a luxurious foaming cleanser and a detoxifying mask. Housed in a gift box, the trio work in tandem to cleanse, illuminate and refine tired, stressed skin. 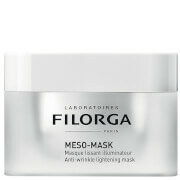 A powerful, radiance-reviving treatment developed to illuminate dull complexions. Suitable for all skin types, its plant-based formula smoothens the appearance of fine lines, tightens pores and awakens skin to reveal a brighter, healthy-looking complexion. Favoured by makeup artists and celebrities, the versatile spray can also be used to set makeup in place. The soap-free cleanser transforms into an airy mousse that cleanses and refreshes skin without drying or stripping moisture, leaving your complexion fresh and clear. 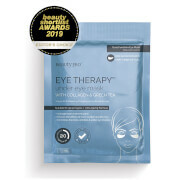 Its blend of Grape Extract, Sage and Chamomile soothes the skin, whilst enhancing radiance and luminosity. Suitable for all skin types, including combination or sensitive. A rich and velvety moisturiser ideal for oily and blemish-prone skin. The deeply nourishing formula is enriched with organic Rosewater, Grape Polyphenols and organic essential oils, which work in harmony to sweep away excess sebum and unclog blocked pores. Helping to restore intense hydration deep below the skin surface to create a rosy glow, the moisturiser smooths and softens the complexion whilst providing antiseptic benefits to calm any irritation caused by breakouts. 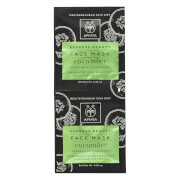 Skin will appear mattified and healthy, whilst feeling cleansed and refreshed. Fragrance-free. Elixir: Shake before use. Avoid the eyes. Spray onto the face before moisturiser and at any time of the day to wake up the skin. Cleanser: Use both morning and evening on damp skin then rinse with water. Moisturiser: Apply morning and evening to face, either by itself or after your serum. Avoid eye contour. Elixir: Aqua/Water/Eau, Alcohol*, Citrus Aurantium Amara (Bitter Orange) Flower Water*, Parfum (Fragrance)*, Rosmarinus Officinalis (Rosemary) Leaf Oil*, Potassium Alum, Glycerin*, Mentha Piperita (Peppermint) Oil*, Styrax Tonkinensis Resin Extract*, Commiphora Myrrha Resin Extract*, Melissa Officinalis (Balm Mint) Leaf Oil*, Rosa Damascena Flower Oil*, Vitis Vinifera (Grape) Fruit Extract*, Tocopherol*, Citral*, Limonene*, Linalool*, Citronellol*, Geraniol*, Farnesol*, Benzyl Benzoate*, Eugenol* (010/024) * Plant Origin. Cleanser: Aqua/Water/Eau, Glycerin*, Sodium Cocoyl Glutamate*, Cocamidopropyl Betainamide Mea Chloride*, Caprylyl/Capryl Glucoside*, Caprylyl Glycol, Parfum (Fragrance), Sodium Chloride, Coco-Betaine*, Potassium Sorbate, Citric Acid*, Sodium Methyl Cocoyl Taurate*, Sodium Cocoyl Isethionate*, Sodium Phytate*, Butylene Glycol, Salvia Officinalis (Sage) Leaf Extract*, Chamomilla Recutita (Matricaria) Flower Extract*, Vitis Vinifera (Grape) Fruit Extract*, Butylphenyl Methylpropional, Linalool, Citronellol. (012/050) *Plant Origin. Moisturiser: Aqua/Water/Eau, Rosa Damascena Flower Water, Alcohol, Glycerin, Dicaprylyl Carbonate, Coco-Caprylate/Caprate, Butylene Glycol, Silica, C14-22 Alcohols, Niacinamide, Polyacrylate Crosspolymer-6, C12-20 Alkyl Glucoside, Palmitoyl Grape Seed Extract, Tocopherol, Cymbopogon Citratus Leaf Oil, Lavandula Hybrida Oil, Melissa Officinalis Leaf Oil, Mentha Piperita (Peppermint) Oil, Pelargonium Graveolens Flower Oil, Rosmarinus Officinalis (Rosemary) Leaf Oil, Citric Acid, Sodium Phytate, Citral, Citronellol, Geraniol, Linalool, Limonene. (183/074). 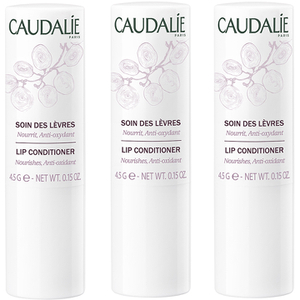 I recently purchased this Caudalie Beauty Elixer set and fall in love with the products especially Beauty Elixer. A must try!